Hello and welcome back to day two of our JustRite Papercrafts September release. 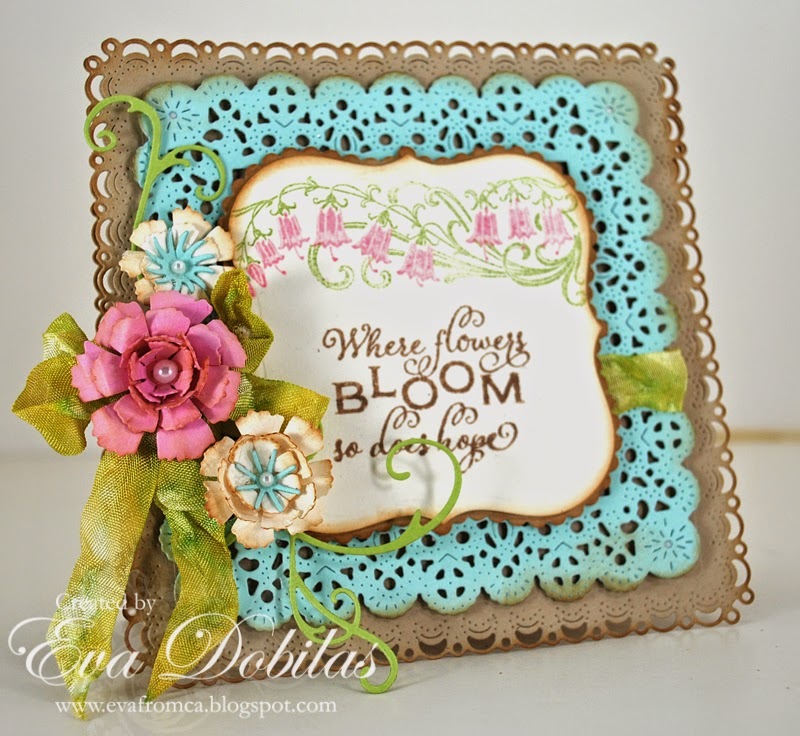 Hope you enjoyed yesterday's new stamps and today we are back with more pretty things. Today we are releasing a beautiful stamp set called A Flower for your Thoughts. I love even the name of this set and here is what I created with it. To start out I die cut a few shapes using Cheery Lynn dies. My card base was created with their Horizon Square Boutique Stacker Frames in kraft card stock, than I die cut a Dutch Scallop Square out of blue to layer on top. 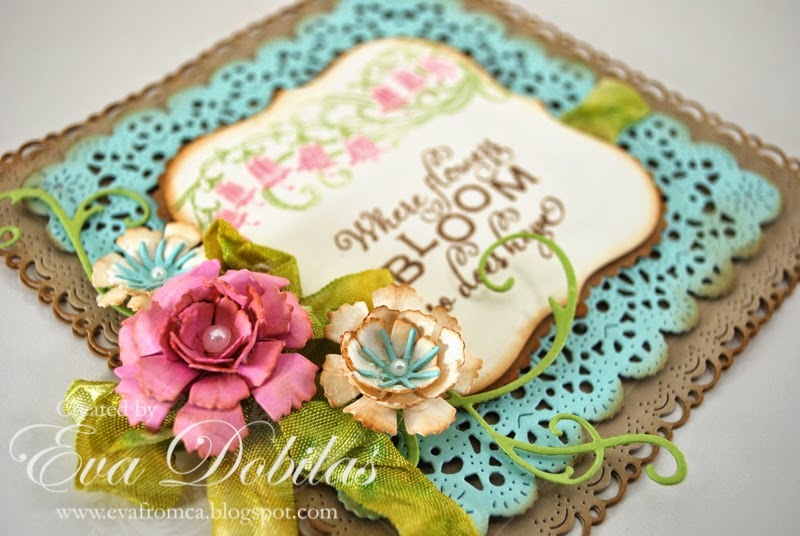 To stamp my sentiment and flowers I used French Flair and French Scalloped Flair dies. To top it all off I used Sweet Williams Strip and also added Fanciful Flourish and of course my seam binding ribbon. What I most love about this stamp set is the fact that you are two step stamping which makes it easy to create the pretty flowers I used. Well, I sure hope you like what you see and now it's time to hop over to my design team mates blogs to check out all the pretty things they created! Here is the list of the participating ladies today. Thanks for visiting and wishing you a beautiful day!